Did Someone Say “Pumpkin Spice Latte"? What do Starbucks and Southwest Wildlife have in common? Pumpkin… lots of pumpkin, minus the spice of course. What screams Fall better than pumpkin? Fall is typically the time of year we begin releases for some of our babies that arrived in Spring. 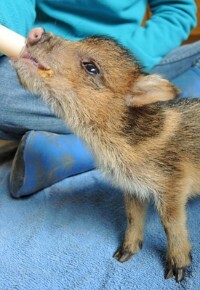 Unlike other animals born seasonally, javelina babies can be born year-round. Often, people are curious what exactly we feed our little charges. We start with formula, but then introduce solids, sound familiar? 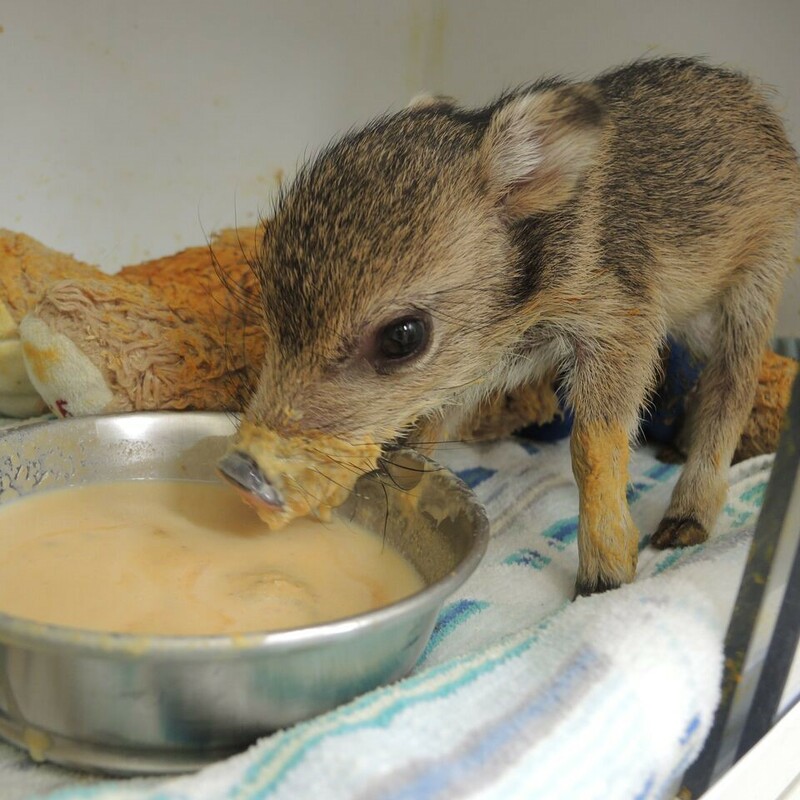 Canned pumpkin is a great transition food, and boy do the javelinas LOVE IT! We think they wear as much as they eat. Did you know... the formula we feed our babies is made by Zoologic and costs approximately $50 for a 4lb bag? As you can appreciate, during baby season we go through a lot. GIVE BY SHOPPING - Amazon's Smile program gives to your favorite cause. Amazon makes it easy for you to give to Southwest Wildlife when you shop. If you log on to Amazon through www.smile.amazon.com, and choose Southwest Wildlife as the charitable organization you wish to support, Amazon will donate 0.5% of the price of your eligible AmazonSmile purchases to us. How easy is that? You shop, they give! Even if you’re not shopping for items on our Wish Lists, the animals will benefit from your purchases! You can read all about the program at http://smile.amazon.com/about. Thank you, everyone, for your support! The General Wish List shows items we use at the Sanctuary every day, like bleach, but it also shows great enrichment items for the animals, if you prefer fun to practical!